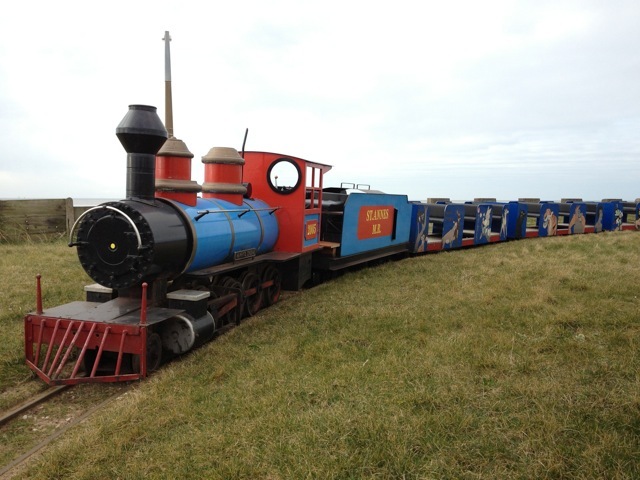 The St Annes Miniature Railway is situated in the busy seaside town of Lyntham St Annes. The line is more or less rectangular, running through the sand dunes. Trains are operated by either a Severn Lamb Western diesel or a steam outline built by Austin Moss using Severn Lamb parts. Trains run through the tunnel/stock shed at the back of the circuit. SAMR Page was last updated on the 17th April 2013 with website added.